I don't have an update photo on Catherine, although I have made some progress on her. I also sewed the border on an old quilt top that has been in the making for over a decade, but I didn't take a photo of that either. But, I do have a couple of photos of some of the long weekend's work! The first photo is probably the last of the old magazine cover kits. 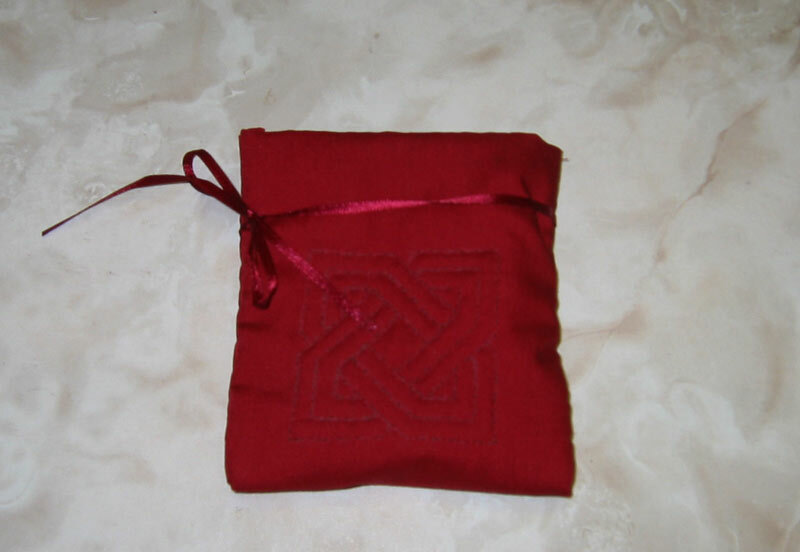 I did the quilting on it ages ago, but just now finished the bag up. 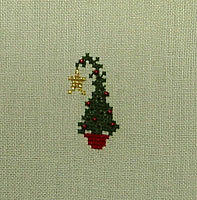 And the second is a little ornament from the 2007 Just Cross Stitch Magazine ornament issue. I didn't have a charm for the star, so I stitched it with the DMC gold floss and I stitched it on a scrap of 32 ct evenweave from a grab bag.